Most of the 17 per cent of Americans who have already voted have backed the Democratic candidate Barack Obama, a new CBS News/New York Times poll says. He leads with 52 per cent, while his Republican rival McCain is behind with 41 per cent. People living away from home on polling day, November 4, are allowed to vote early, either by an absentee ballot or at early voting sites. Meanwhile, Russia's Central Election Commission (CEC) says the election in the U.S. gives cause for concern. It suggests the U.S. voting system lacks inclusiveness, fairness and transparency. It is also archaic. Yet despite the failings, U.S. democracy is held up as a standard all over the world. The CEC, along with a panel of experts, are convinced that elections in Russia are not only cheaper, but have proven themselves to be more democratic. The chairman of the CEC, Vladimir Churov, says countries do elections in different ways. “I agree with the idea that every sovereign state has its own sovereign democracy, and it is pointless to impose your own rules on another country,” says Churov said. Churov says that the electoral system of the U.S. is, fundamentally, archaic. Instituted after the signing of the U.S. Constitution in 1787, the process has remained virtually unchanged in the following centuries. According to Churov, the main issue is that democracy in the U.S. is not direct. Each state is allocated as many electors as it has Representatives and Senators in the United States Congress. The electors usually vote in line with their state’s popular opinion; nevertheless, according to Churov, the system allows them to vote for whomever they choose, going against public opinion if they disagree with it. Furthermore, each elector represents a different number of people, making the system proportionally unrepresentative. This system, according to Churov, is reminiscent of the Ukraine elections in 2004, where several groups of votes were ignored because the votes did not follow the government line. For example, overseas votes were not counted. Inclusiveness has always been seen as the defining principle of U.S. democracy. However, not everybody who is allowed to vote de jure is permitted to do so de facto. Anatoly Utkin, the director of the International Research Centre at the Russian State Institute of the USA and Canada, recalls turning up to a polling station in 2004 with his colleague, a professor at Boston University, who was eager to demonstrate U.S. democracy at work. However, his name did not make it to the voters list, along with an estimated 25 per cent of the electorate. And, while names seemed to disappear from the lists easily, putting them back was a more difficult matter. The issue wasn’t resolved until the following day, by which point the polls had closed. Disproportional media coverage is also a problematic issue in U.S. elections, as Churov explains. In October alone, Obama received a total of 9.5 hours more airtime than McCain. And Aleksandr Ivanchenko, head of Russia’s Centre for Electoral Education attached to the CEC, says equivalent events receive unequal coverage, depending on whether the protagonists are Republicans or Democrats. However, according to Churov, this is normal and acceptable. The key issue, he says, is that there is factually no difference between information and campaigning in the U.S., which could be classified as withholding information from the electorate – even government channels present a political bias. Furthermore, the technical side of the electoral process remains a mystery to outside observers. “We know about the electronic vote in the U.S. only from pictures. We don’t know what kind of software they use, how they maintain the security of the vote, how they do a one-time vote of one voter and so fourth and so on,” Churov points out. However, the CEC's primary stance is not to intervene or judge a sovereign country's electoral process. At the same time, they are concerned that the process, which has such substantial international coverage, has so few outside observers. “For example, the OSCE’s mission ODIHR [Office of Democratic Institutions and Human Rights], the initial agreement was 100 observers, now the number has been cut down to 60. In reality, only 48 people went. That is less than the number of states. Considering the fact that every state has its own voting system with different equipment, ballots, lists, each state requires close attention,” Churov notes. Russia has already sent two observers to the U.S. elections and is not intending to send more. “I have a huge respect for my colleagues from the U.S. Federal Election Commission, because their job is not easy. And we can tell that they are trying to correct all the mistakes in the election system,” Churov says. In comparison, the Russian system, according to Churov, was created whilst taking into account all the shortcomings of the U.S. model, as well as various European ones. The CEC chairman notes that it has been improving throughout, becoming more effective and more transparent. How accurate are U.S electronic voting machines? 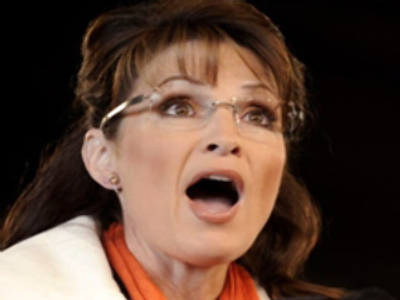 Is Palin’s gender hurting McCain?